Before starting repair work on a building, it’s important to have a good idea of precisely what it is that requires repairs. This can end up saving you not only a lot of time but also money in the short and long run. At R.A.I.L., we are equipped with a little more than a set of ropes and tools that they can use in a dextrous, unencumbered way, our rope access technicians know just the way to properly inspect your buildings before repairing them. This way, you can save cash that you would otherwise spend on a scaffolding that not only takes up unnecessary space and blocks out sunlight but poses a much greater danger both to the workers and their immediate surroundings. 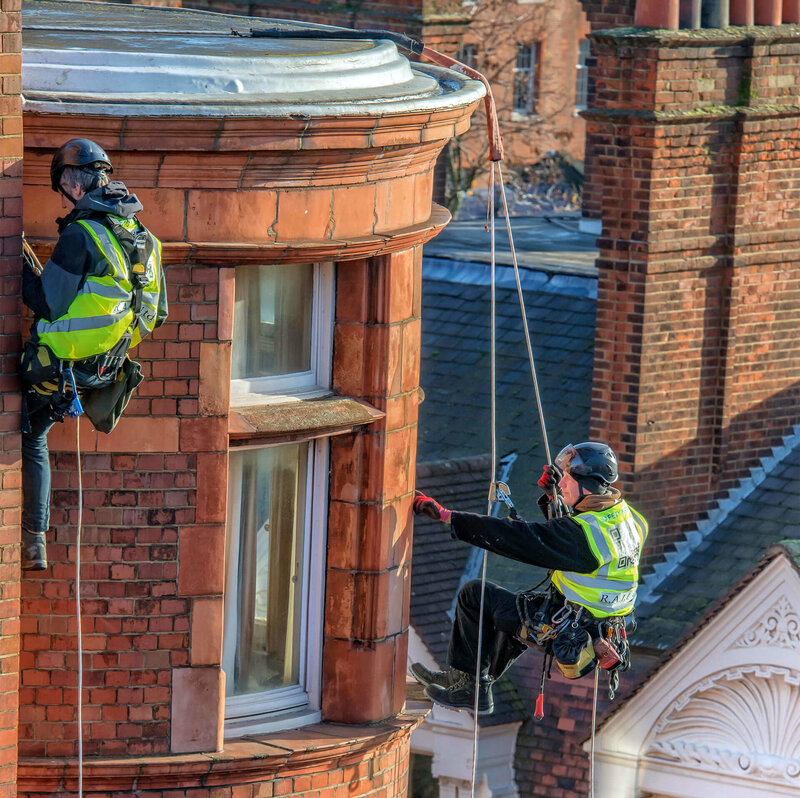 Who could be better for the job than a group of experienced rope access technicians with CSCS certificate? With the help of our professionals, you’ll be soon aware of all of your building’s defects, allowing you to properly fix them. We are not only offering a proper survey that will be a great way to put any concern for the rest. After all your property, especially a home, is your biggest investment of a lifetime, so it’s super important to get the professional and well-explained feedback. With R.A.I.L. you can be certain that you will tailor the survey to your individual needs to provide you with the crucial results swiftly.